Having recently wrapped up our own successful Augmented Reality campaign for the Scottish Government bringing invisible toxins to life, we felt it only right that we get involved in the conversation surrounding the recent Pokémon Go release in the UK. As someone whose primary school years were spent trading anything and everything for a Charizard shiny, yet hasn’t looked the way of a video game for the best part of 15 years, Niantic have really hit the nail on the head in terms of capitalising on the games nostalgic value. Reeling in players of all ages and disrupting work and school days across the globe, Pokémon Go is not only sitting at the top of the Apple App Store chart, but has managed to surpass Twitter’s daily active users and is ranked ahead of Facebook, Instagram and Snapchat in Google Play: Enter phase two of “Pokémania”. A little known fact about the game is that it actually started as an April fool’s joke. Yep, on April 1st 2014, a video of an amalgamation between Pokémon & Google Maps was released, racking up over 18 million views. 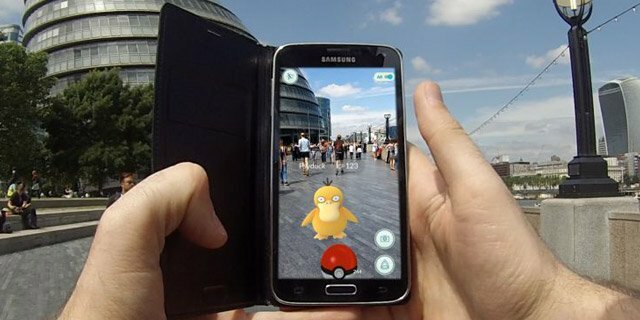 Fast forward two years later and the people behind it have made it a reality, giving the people what they want and bringing Pokémon “into the real world” through the medium of Augmented Reality (AR). A technology previously reserved for big budget experiential marketing campaigns. Explained simply, AR is a view of your actual surroundings via a handheld device, with interactive, computer-generated elements overlaid. Pokémon Go uses existing mobile clock and GPS systems to plant you within animated maps true to your surroundings, allowing you to walk around the real-world, hunting, battling and catching any of the 151 Pokémon characters available. But as marketers, what does this mean for Augmented Reality? Has it gone mainstream? In our opinion, not quite yet, but it certainly brings the power of AR to life in a fun and easily digestible package that gets people talking about the possibilities. 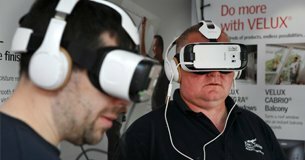 It will certainly propel it ahead of Virtual Reality as a marketer’s go-to technology for now especially in the experiential side of things, despite VR’s increased use to reach consumers by more unlikely industries, such as construction. Whilst retailers and local businesses are able to take advantage of the game by purchasing “lures” for £1.19/hour to drive player footfall to their locations to be met with targeted ambient advertising, there’s only so long that the Pokémania buzz can last for. The technology has a reasonable way to go before it can be successfully integrated into our everyday lives the way that so many other technologies are. However, this game in particular has really broken the mould, bringing Augmented Reality to the masses and positioning it in the minds of many consumers as something accessible which perhaps is not too far off being a semi-regular instalment in our daily habits. With this business and marketing opportunity that Niantic have so kindly presented the world with, where do we see AR coming into play in the near future? We’ve used it to initiate behaviour change amongst Scottish smokers, “making the invisible visible” by surrounding children with animated versions of the invisible toxins contained in second-hand smoke, however there is huge potential for use in the retail sector. As the shift towards more online buying continues, AR provides the ideal bridge between this and a bricks and mortar retail experience. 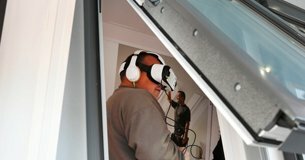 Consumers are already able to virtually try on jewellery and clothes or view how furniture would fit into their home with some brands, but the possibilities really are endless. Conversely, the technology can enhance the physical shopping experience by allowing consumers to look around stores through their devices which will highlight special offers in particular areas, and allow instant rewards via iBeacons. 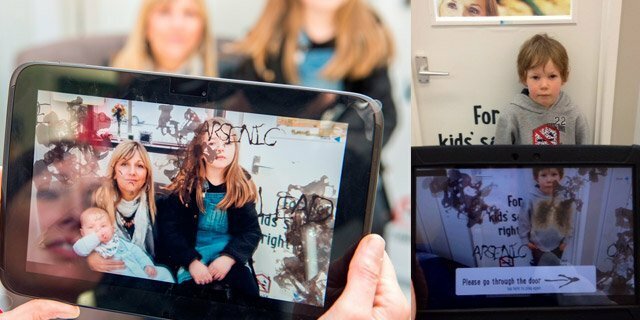 If you have an Augmented Reality or experiential project you’d like to discuss, we’d love to hear from you. A look at our experiential tour of Scotland bringing to life the dangers of second-hand smoke through Augmented Reality. Into The Kool Box Goes... Virtual Reality. With more companies trying their hand at Virtual Reality, for experiential marketing, we found it fitting to talk about some of the Virtual Reality campaigns which are pushing the boundaries.